Mayo Sports Partnership is pleased to launch details of its upcoming Special Participation Sports Investment Scheme for 2018. The scheme, supported by Sport Ireland, invites clubs and organizations which have sport/recreation as their central focus to submit proposals which would increase participation among target groups such as youth at risk, disadvantaged communities, unemployed, women, Travelling community, middle aged men, disabilities, and ethnic minorities. This may include setting up of new clubs or additional activities which would increase participation within existing organizations. Since the scheme was established in 2005 over 550 initiatives have been assisted in communities across Mayo. Projects supported in 2017 alone have included development of a new underage basketball club in Westport, formation of a new Mayo Volleyball Club, training of swimming coaches in Claremorris, the development of table tennis in the county, development of Mayo ladies basketball masters club, Mothers and Others GAA programme in Bonniconlon, development of Ballyhaunis Cricket Club, support for squash in Killlala and Westport, participation opportunities for the travelling community, mass participation events in running/walking and much more. The last number of years has seen particular focus placed on inviting communities/organizations to think about forming walking and jogging groups in their locality. This has proved to be very successful and the partnership will continue to support sports clubs/groups who are looking at providing activities which are lifelong, fun and recreational in nature. Indeed many GAA clubs through their health and wellbeing officer in association with the GAA Healthy Clubs Initiative are developing programmes encouraging the wider community to participate in activities such as walking/general exercise. “With limited resources Mayo Sports Partnership is delighted once again to prioritise this annual investment scheme. 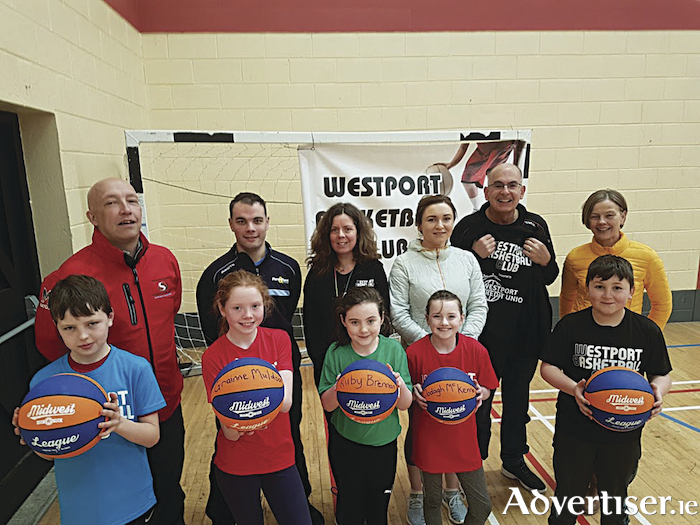 We recognize the need to support volunteers in the development of new clubs or additional programmes that will get more people more active,” stated Mayo Sports Partnership chairman Cllr Brendan Mulroy. Organisations and groups are asked to note that any capital/building projects are not eligible for investment under the schemes criteria and clubs should refer to the governments sports capital programme, see www.dttas.ie Other items such as ongoing costs for teams ie travel costs, competition costs, registration fees, sponsorship, etc, are also not eligible. Closing date for applications is 4pm on Wednesday, May 9, the maximum allocation to any one project can be €1,000 and this is dependent on the quality of the initiative. The Mayo Sports Partnership board will decide on all successful applications and its recommendations are final. If clubs/groups require assistance on the scheme contact the Sports Partnership office at (094 ) 9047025 or see www.mayosports.ie/news to download a copy of the application form.